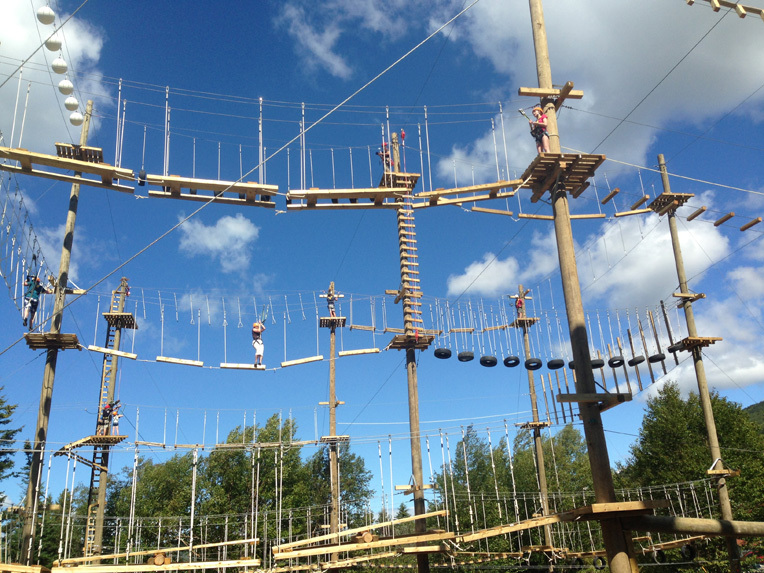 Please Note (High ropes tours): participants must reach their hand above 6 feet to do the whole course and above 5 feet to do the first level. 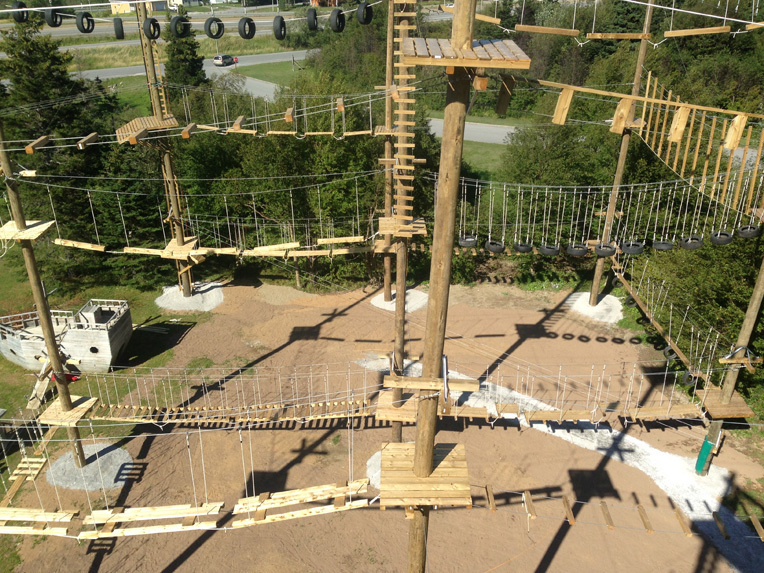 The Spider Challenge is a three-storey high ropes course or obstacle course and the newest addition to the growing list of adventure activities at Marble Zip Tours! 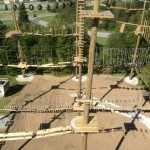 Located at the base of Marble Mountain and visible from the nearby Trans-Canada Highway, the Spider Challenge delivers an escalating thrill that increases in intensity with each vertical level you reach. Each level comprises of several poles or trees that are connected by different acrobatic elements. 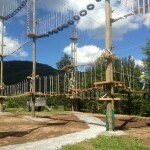 In the obstacle course participants independently run a variety of trails. 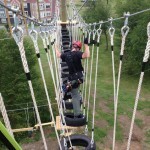 Sometimes referred to as a high ropes course or an adventure park, the Spider Challenge dares you to rise above your limits as you advance through each fun and daring obstacle. 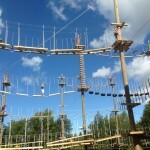 The greatest thing about this activity is that it can be enjoyed by the entire family, as it’s not necessary that participants have previous climbing experience, nor a very high level of physical fitness. 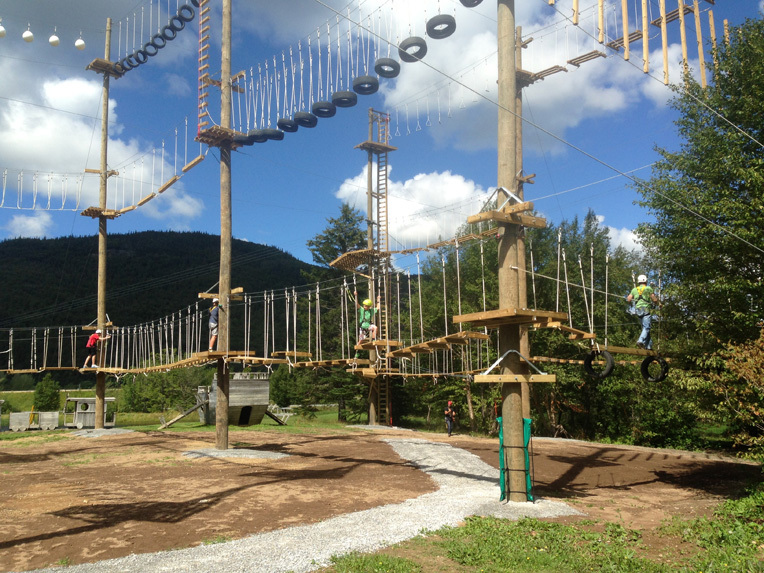 Marble Zip Tours often hosts groups of students or employees from local companies that want to complete this challenge together. It’s great for team-building and bonding because it is an activity that can be completed by several people simultaneously, and helps to build trust, courage and confidence. 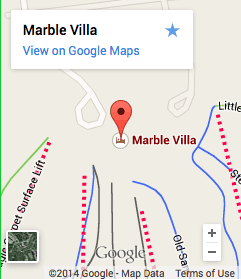 Marble Zip Tour works with the most professional, trained guides who are not only qualified, but who care about offering each of our clients an exceptional experience. 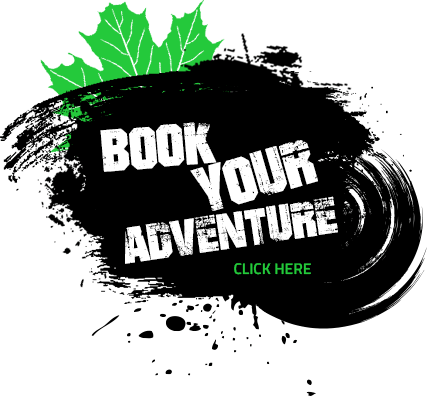 Our guides will give you an overview of the obstacle course to get you started, and then, because we use self-regulating equipment, it is possible to complete the course on your own. 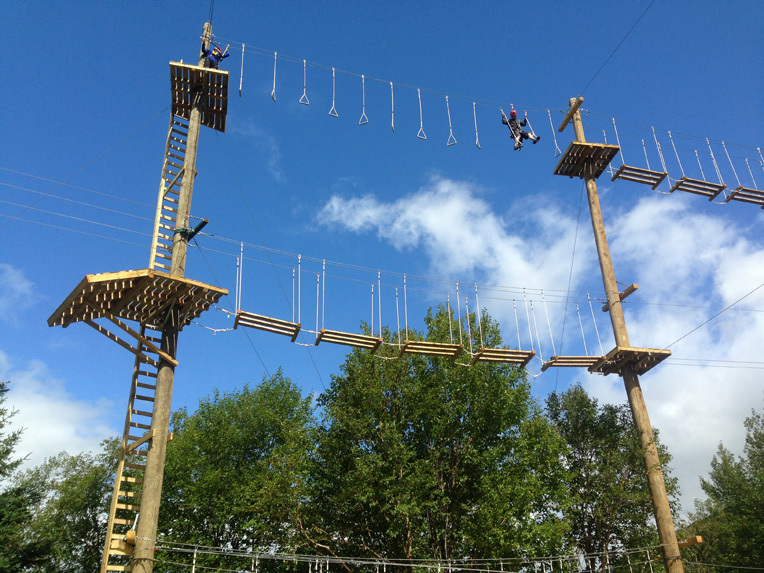 The Spider Challenge high ropes course uses the most secure equipment in the industry; our gear and climbing apparatuses have been approved and certified, offering the safest experience possible. As you make your way along the course, and more specifically–up!–you’ll find that each section requires slightly more balance, strength and skill… and of course, bravery! 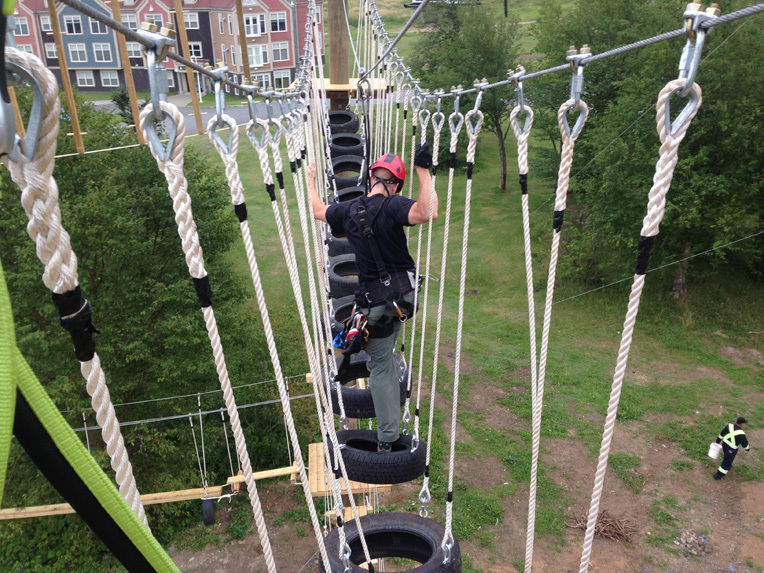 On average it takes about two hours to complete the obstacle course, but that’s contingent on your fitness level, and how skillful you are at mastering the obstacles, while handling the altitude! By the time you complete the obstacle course, it’s likely that you’ll feel a little tired out, but you’ll feel proud that you conquered our famous Spider Challenge! 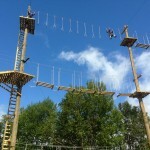 The Spider Challenge high ropes course operates from early spring until late fall, and the exact dates of seasonal opening and closing are largely dependent on the weather.